I don't think it matters where you are from, I think everyone will agree that one of the best treats in the world is a homemade flour tortilla. We are so lucky to have some of the world's best Mexican (Tex-Mex) restaurants in the world here in San Antonio and warm, fresh tortillas are served at the table with every meal. I pre-mix the dry ingredients and store them in my pantry. Saves a bit of time considering how often we make these. Just have to add the fat and water when we ready to make them. Lard is traditionally used in tortillas, but vegetable shortening can be substituted to make these vegetarian. 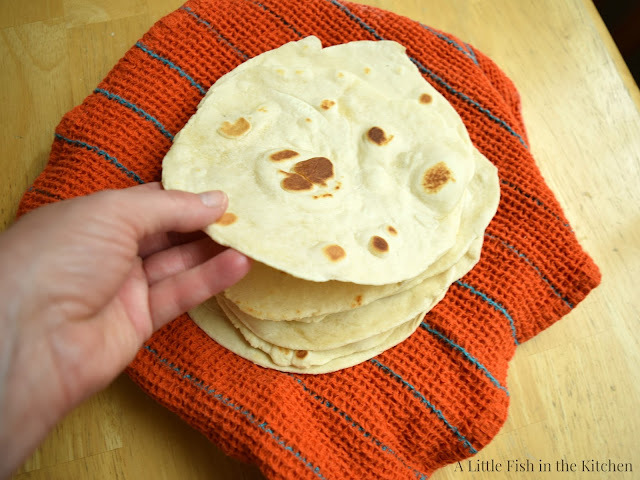 We also keep a package of store-bought tortillas around the house as some of my kids' favorite easy meals and snacks are made with tortillas. They won't say no to no-fuss dishes like breakfast tacos with egg and potatoes, bean and cheese tacos ( a fave for after school snack time) and quick sandwich rolls. This is especially true of the four-year-old. She won't touch a peanut butter and jelly sandwich, but if I offer a soft taco as a snack I can't serve it fast enough! 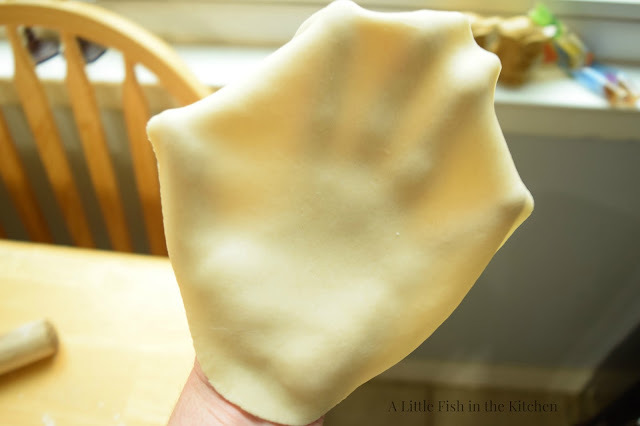 Your hands are the best tools to make tortillas! In one way or another, we honestly make (nearly) daily use of tortillas in place of regular sandwich bread around here. Dough needs to be covered and allowed to rest for about 10 minutes after kneading. It was my son who asked me to make them from scratch for the first time. He said the store-bought tortillas just weren't as good as the "restaurant ones". He is right. Those pre-made tortillas are definitely convenient, but they just don't capture the joy of a warm, hot-off-the-griddle tortilla! At first, making them from scratch seemed like a daunting task, but in fact it was super duper simple. 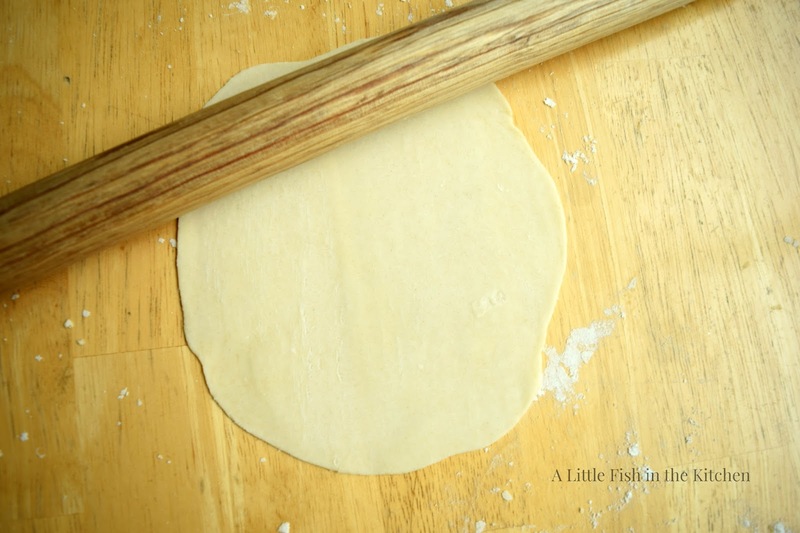 Tortillas must be rolled out to be very thin and getting them to roll out round will take a little practice! Should be thin enough to nearly see through, but thick enough not to tear easily. I mean really, really simple. My wrought-iron skillet is in constant use in my kitchen. One of my favorite things! Like, so simple I couldn't believe I'd never attempted to make them before! So, here's a traditional recipe for homemade tortillas that we have all become absolutely addicted to. Using just 5 modest ingredients and a rolling pin, you can make some too and trust me, they are scrumptious! 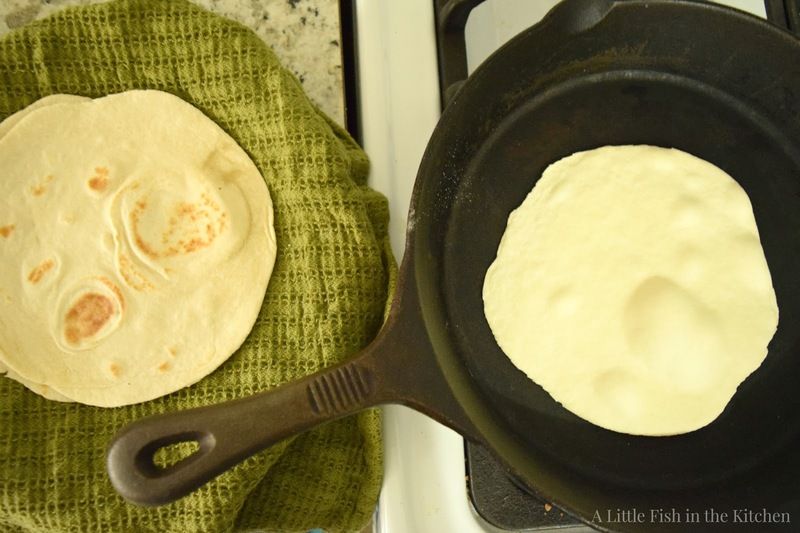 Flour tortillas are easier to make than you might think. Make these delicious homemade tortillas for your next family taco night! 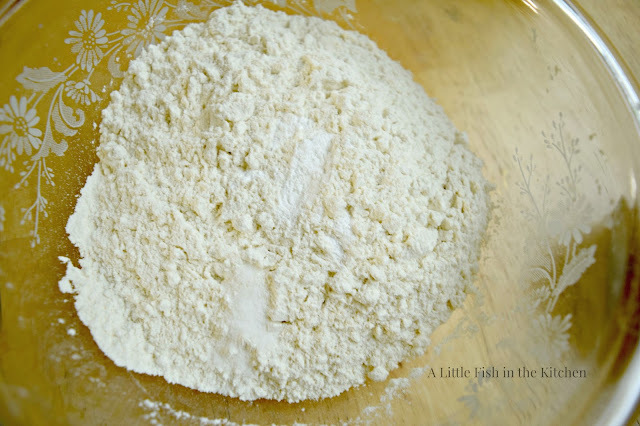 Combine flour, salt, and baking powder in a medium-size bowl. 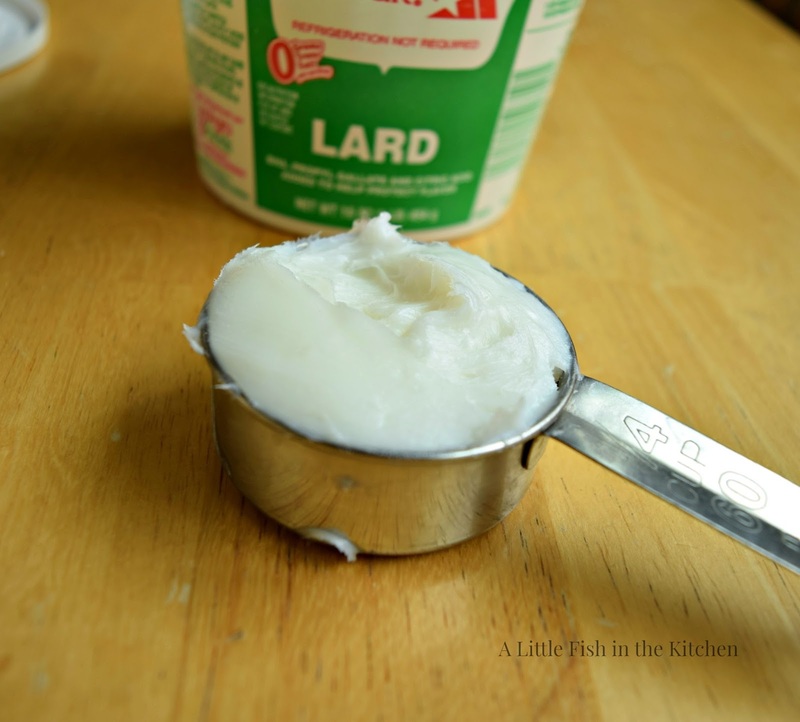 Add lard to the dry ingredients. 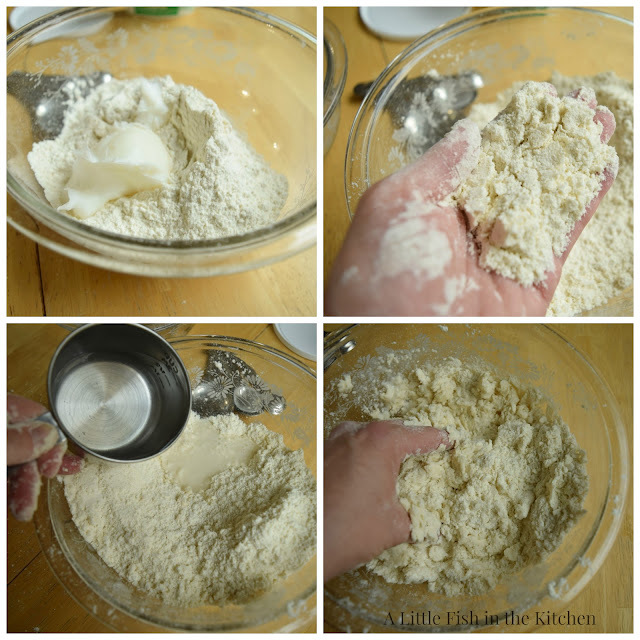 Using your hands or a pastry cutter, cut the lard into the flour mixture until it resembles sand. Place the shaggy dough ball onto a very lightly floured surface and knead the dough until smooth, about 2 minutes. 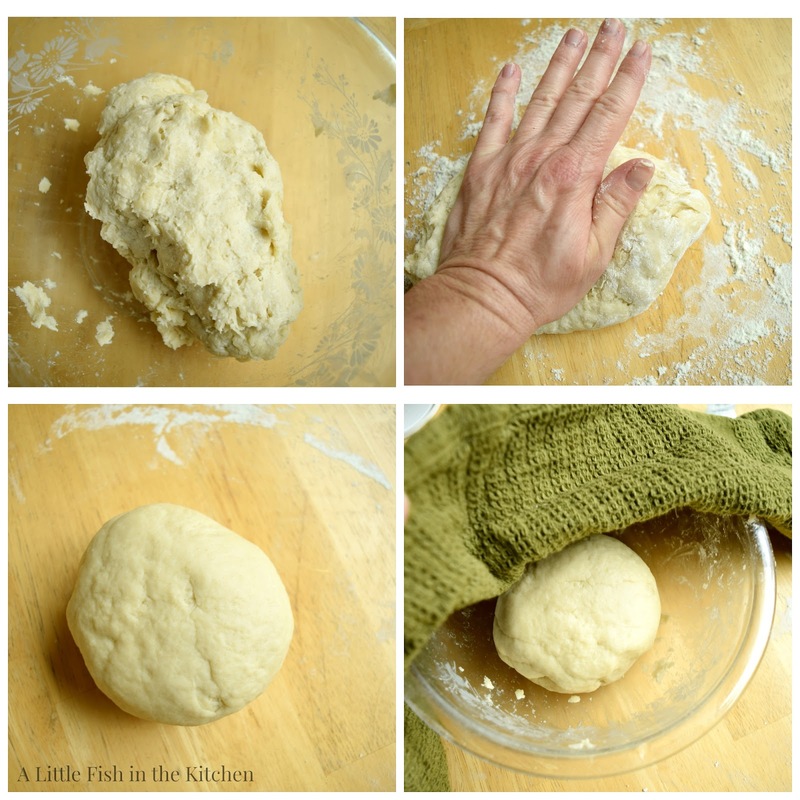 Place the smooth dough ball back in the mixing bowl, cover with a clean kitchen towel. Allow to rest for about 10 minutes before the next step. 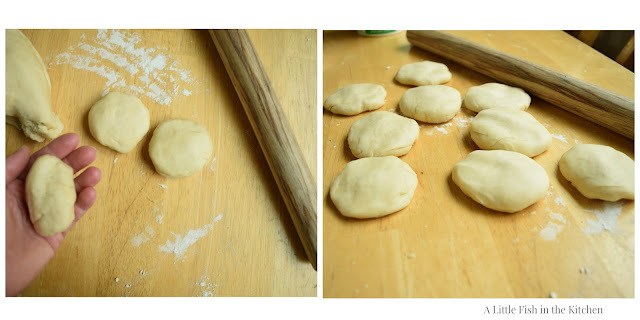 Tear the dough into 8-10 even pieces and shape the them into disks that are about 2 - 2 1/2 inches in diameter. As well as you can, round and smooth the edges on these little disks. 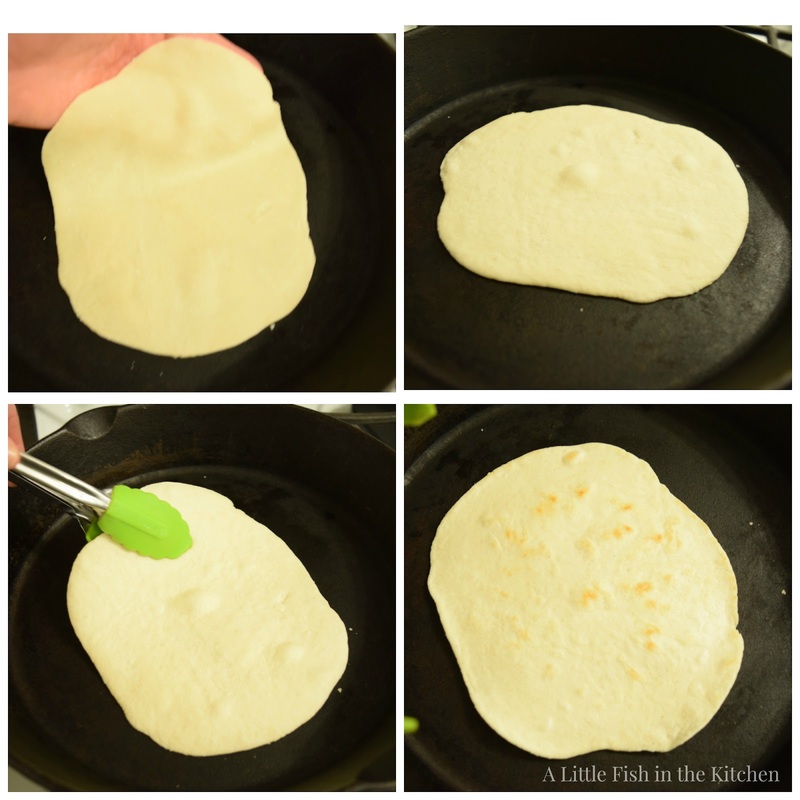 Carefully transfer tortilla to your warm skillet or griddle and cook on each side for just a minute or two (flipping gently with tongs) until done. Cover with a clean kitchen towel until ready to serve and enjoy! Perfect! I haven't made my own tortillas in a while...time to start a new batch! Thanks for sharing, Marcelle. Oh do these look delicious, there is a restaurant by us that makes them fresh as you are sitting there, we don't go often but I love that place, now maybe I could try and make my own;) delicious Marcelle!! Happy Holidays!! Hi there Cheri, let me know how it goes if you make some! Thank you!! Happy Holidays to you too! Great recipe. I have yet to make these, but I shall, thanks to you. I hope you share this at our link party today, Dishing It & Digging It. Merry Christmas to you. Linda, thank you! I was late, but I made it to the party. Merry Christmas to you too! 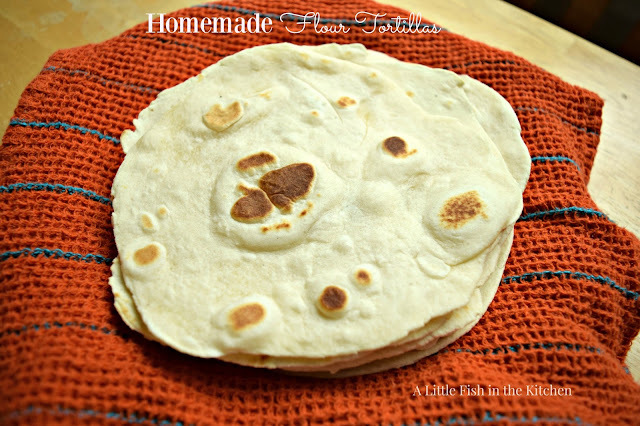 I have always wanted to make homemade flour tortillas! Thanks, Marcelle - this will be one of the first recipes I make in the New Year!